A personal journey of the aftermath of the Bosnian War with interwoven stories of the Selimovic family from Srebrenica, Bosnia who resettled in Columbia, Missouri after the fall of the former UN "safe area". Ten years later, the family re-visits the July 1995 massacre of more than 8,000 Bosnians, considered the worst single act of genocide in Europe since the end of the Second World War. Neither Here Nor There traces the complexities of starting over in a new place when ties to the past remain unbreakable. 58 Minutes. The Selimovic Family, 1996, Bosnia. Fatima Selimovic is a war widow and refugee, who is among the 60,000-plus Bosnians who resettled in Missouri after the war. The family is learning a new language, job, and culture. Fatima works as a housekeeper at Holiday Inn. Her oldest daughter works full-time at a book factory and cares for a baby while her husband waits for refugee status, so he can join them in the U.S. The middle daughter is in high school and working full-time at night to help with the family's finances, while the youngest child begins middle school. Neither Here Nor There portrays the enduring strength of refugees, and in our case, the women who survived the war. Fatima Selimovic’s story is told from the viewpoint of the film’s co-director, also a refugee caseworker, who helps the family become self-sufficient. 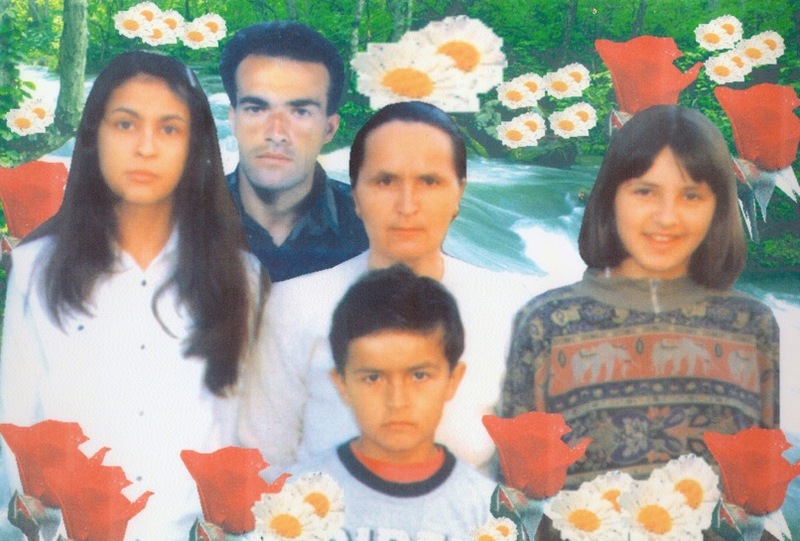 Would it be better if the Selimovic family just stayed in Bosnia? Or, is America truly the land of opportunities? Sometimes a refugee's home is neither here nor there. It's somewhere in-between. Kerri Yost is an award-winning documentary filmmaker who learned filmmaking overseas in London and co-founded a production company in Poland, at that time appropriately named In Over Our Heads Productions. After returning home to Missouri, Yost focused on documentaries about social issues and Midwest themes. Yost spent ten years working as an English language teacher and refugee caseworker before a career in film and teaching film. She is now an assistant professor of film at Stephens College and is the founder and director of the Citizen Jane Film Festival, working to inspire female filmmakers. Yost received her Bachelor's in English from the University of Missouri and her Master's in Teaching English as a Second Language from Central Missouri State University. Beth Pike is an EMMY-award winning television producer and journalist. Her work has appears on national cable and network news and entertainment programs. She is a regional field director for Entertainment Tonight and regularly works as a freelance producer for NBC News. Her recent documentary film, Deadline in Disaster, follows The Joplin Globe newspaper staff after the May 2011 EF-5 tornado that destroyed one-third of the community. The film is currently being screened at U.S. film festivals. In 2009, she received an EMMY Award in Historical Documentary for Trustees of the Public, airing on PBS. Pike received First Place Documentary by National Press Women for Our Fragile Earth environmental series, which was shown at film festivals and made an appearance at Graham Nash's 1996 U.S. Concert Tour. Pike received her Bachelor of Journalism Degree from the University of Missouri. Stephen Hudnell is an award-winning director and cinematographer and co-owner of Orr Street Productions, along with Ms. Pike. Most recently, he co-directed Deadline in Disaster, a feature documentary being screened at film festivals. His work includes shooting and editing for news, documentary, commercial, entertainment, and corporate clients. His credits include Entertainment Tonight, Fox Network's America's Most Wanted, The History Channel, Discovery, PBS, Japanese Television Network, French Television Network, among others. Hudnell co-directed the EMMY-award winning documentary Trustees of the Public and the environmental series Our Fragile Earth. He received his Bachelor of Journalism Degree in Photojournalism from the University of Missouri. Elizabeth Federici is an independent filmmaker, editor, educator and media activist based in Portland, Oregon. She co-directed Space, Land and Time Underground Adventures with ANT FARM, which is touring film festivals in the U.S. and abroad. She was the founding member and first director of Columbia Access Television, which provides the community with equipment and training to make local programming. She is a recipient of a Merit Finalist Award from the Worldfest Houston Film Festival for her documentary Bauhaus Gotham. Federici has also received awards from the National Association of Telecommunications and Officers Association for the programming she produced for the local government access Columbia Channel. Jennie Livingston directed the award-winning feature-length documentary Paris is Burning, a fascinating and moving look into the world of New York African-American and Latino homosexuals who express their feelings about being forced to live on the fringe of society, by holding elaborately-staged drag balls and "vogue", a stylized dance rivalry. The film earned Best Documentary awards at the Sundance Film Festival and the Los Angeles Film Critics. Additional work includes the short films Who's the Top? and Through the Ice. Patrick McCarthy is the author of After the Fall: Srebrenica Survivors in St. Louis, which is a compilation of McCarthy's writings and images from notable photographer Tom Maday, along with in introduction by Pulitizer Prize- winning reporter David Rhode. McCarthy has worked with Bosnian refugees in St. Louis since 1993, and founded the St. Louis Bosnian Student Project, a scholarship fund for Bosnian refugees. Patrick helped develop the multi-media exhibit, Prijedor: Lives from the Bosnian Genocide. He is an honorary member of the Bosnian-Herzegovinian American Academy of Arts & Sciences and an Advisory Committee Member of the Institute for the Investigation of Crimes of Genocide (Canada). Ron Klutho has years of experience as a refugee resettlement caseworker in St. Louis, and is co-director of the Immigration and Refugee Support Program at St. Pius V Catholic Church. He speaks fluent Bosnian. Klutho is very active with the St. Louis Bosnian community, and has been working to support activities that will build and help foster deeper understanding of the cultural traditions of Bosnia-Herzeovina. Klutho also serves as the Refugee Services Coordinator for Places for People, which provides mental health services for St. Louis residents in need. Jasmina McNutt is among the first Bosnians who came with her family to Missouri as a refugee. Upon graduating from the University of Missouri, she became a caseworker for the Refugee and Immigration Services in Columbia, Mo. Women's issues were her main focus as a caseworker. She, along with Ron Klutho, are the main translators of the documentary film. Today, McNutt is the owner of a computer tech company. Stacey Karabegovic is an English Language Instructor in Columbia, Mo. and has worked as an administrator and education materials developer. She focuses on multi-media and web-based educational materials and serves as a liaison for schools and community groups to develop and use materials in outreach. Karabegovic has worked with the Bosnian refugee population in schools around the country since their first arrival more than fifteen years ago. Women Make Movies, Inc. has been the fiscal sponsor of the production of Neither Here Nor There. Women Make Movies is the only multi-cultural women's media organization whose focus is the promotion, production, exhibition and distribution of films by and about women. Established in 1972, Women Make Movies is a 501(c)(3) non-profit media arts organization registered with the New York Charities Bureau of New York State.